OK: so this is the Trans Pennine Trail, stretching 215 mostly offroad miles or so from Southport, on the Irish Sea, to Hornsea, on the North Sea. 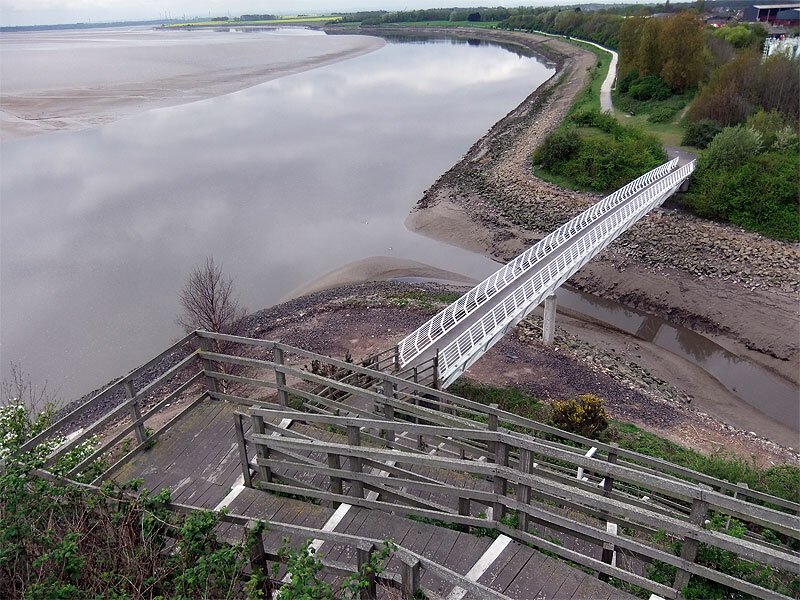 I've contrived to include this in the 'rhyming towns' series by thinking of it as Southport Pier to Hornsea Mere - the pier (above) being where the trail does, almost, start, and the mere being a large puddle near where the trail ends. 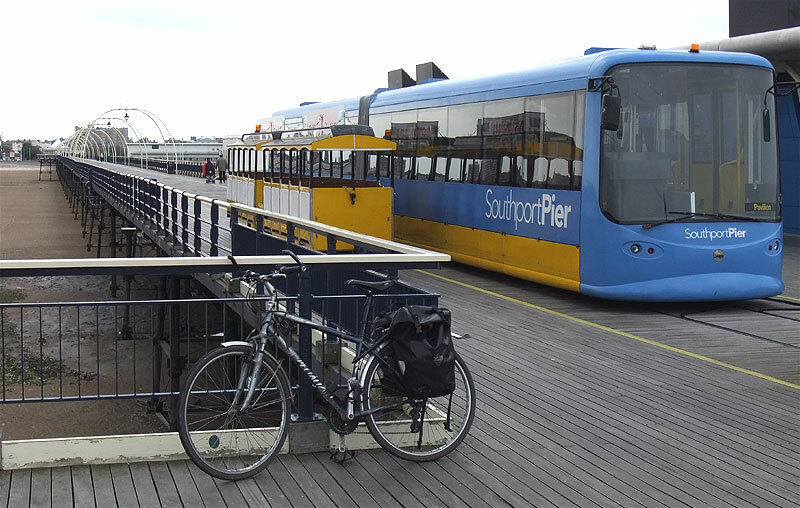 There's a very helpful and friendly bike shop right by Southport station. 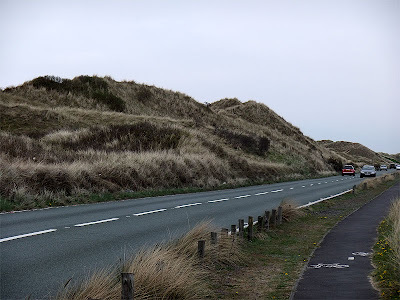 They suggested that after the initial run through the dunes (above) - Dunes Help You Breathe More Easily - I ignore the official route, and follow bridlepaths nearer the coast to Crosby beach, site of the superb Antony Gormley work, Another Place. 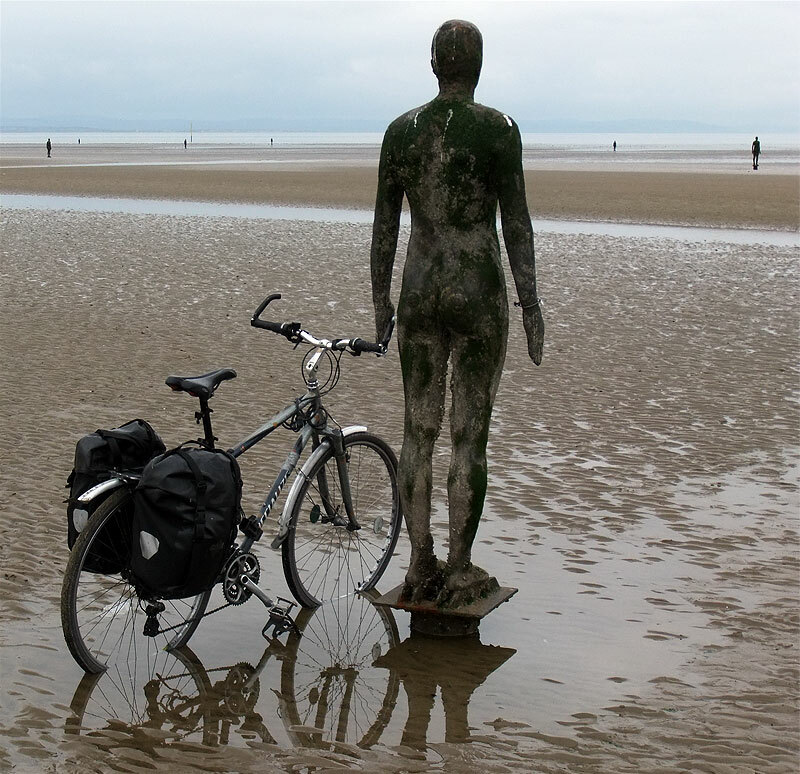 The work (detail, above) consists of a hundred life-size naked bronzes (of Gormley himself) staring out to sea. Depending on the time and tide, you see them submerged, hovering above the sand, covered in barnacles or slime, sunlit, rained on, blasted by storms etc. And depending on the proximity of bike bloggers, you see them grasping cycle handlebars. It's excellent; go and see it. 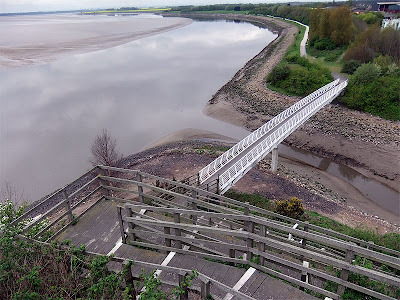 After hacking through Liverpool's backside, on a rather dull railtrail, you get to Speke. And the words you speke are unprintable, because you keep losing the trail thanks to patchy signposting. Here (above) is an example. Note that you're already *on* the TPT route. 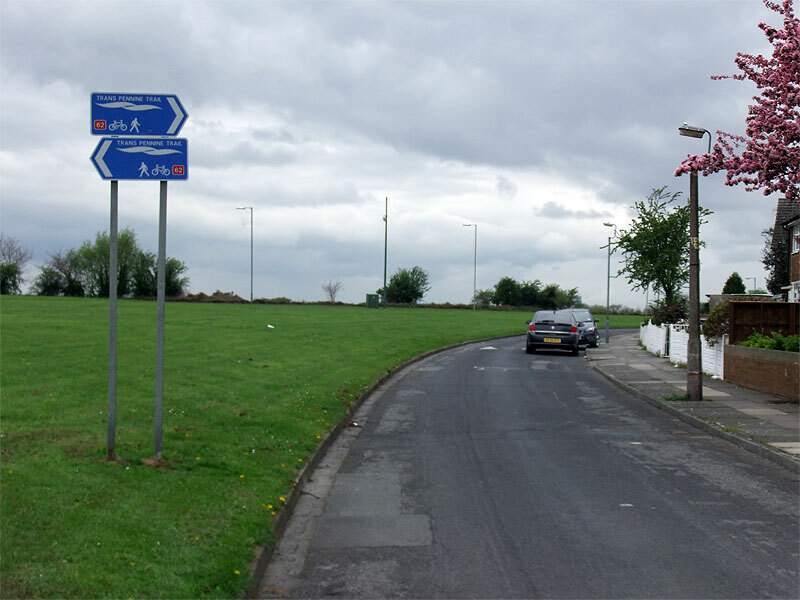 So what to make of this Janus-like sign, when there are no visible roads off right or left? 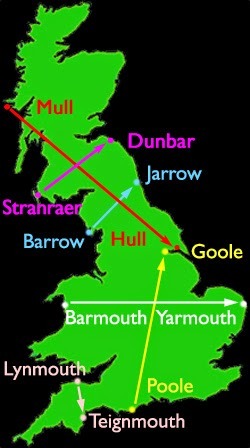 The addition of a direction ('east' or 'west', as most of the signs in the western two-thirds have) would help here. Having found your way out of Speke, thanks to the chirpy and friendly locals (who all knew where the bike route is, incidentally) you sideline the Mersey before a railtrail to Lymm and Altrincham. Nothing can stop you now. Except perhaps the hundred-step wood-staircase ascent up this hillside. After much asking in hotels I found a just about acceptable deal in Best Western in Altrincham. Do you like Altrincham? I don't know, I've never wanted to change them, to be honest.